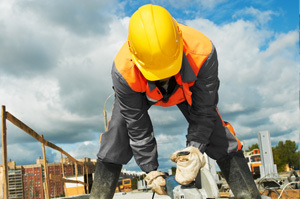 Construction workers are well aware that work sites are often dangerous places. While an employer may take every step necessary to make a site safe, other individuals, entities or equipment might be outside the control of the employer. Often, catastrophic injuries result from dangerous work practices, defective or dangerous machinery, collapses, etc. Our attorneys work with experts in the field of construction management, engineering, construction practices, and OSHA regulations to investigate and prosecute construction site accidents. There are many, varied claims that can be brought, including workers’ compensation claims for payment of lost wages, medical bills and death benefits, general negligence claims against contractors, management companies, suppliers and makers of machinery and equipment, and strict product liability claims against suppliers and manufacturers of equipment. If you or someone you know has suffered injury as a result of a construction site accident, please contact us to discuss your case. For examples of our success in representing individuals suffering injury as a result of a construction site accident click here.